For the past two years I’ve been working on creating an interactive light installation that involves controlling a literal army of robots. 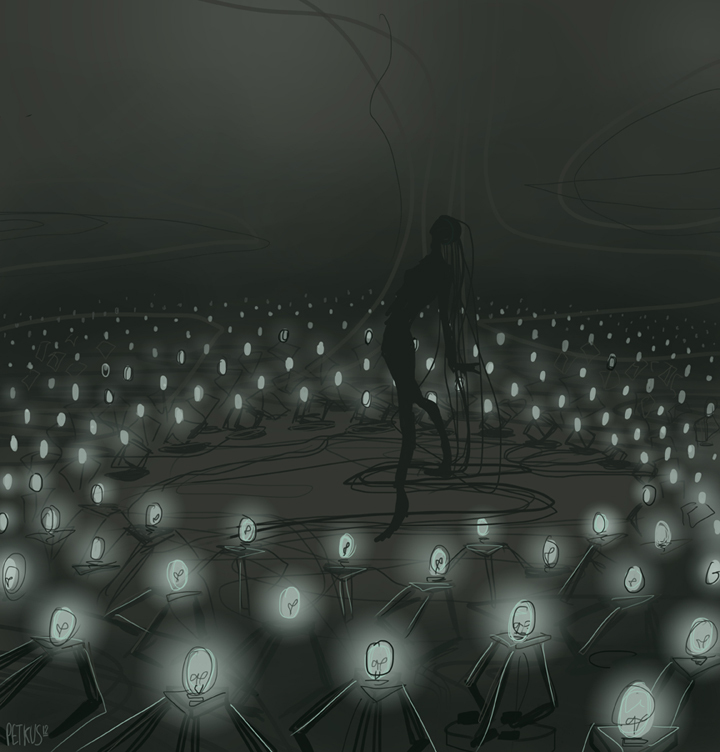 The idea originated from illustrations I had done back in 2010 that depicted a character hovering in the dark over a field of swaying light bulbs. 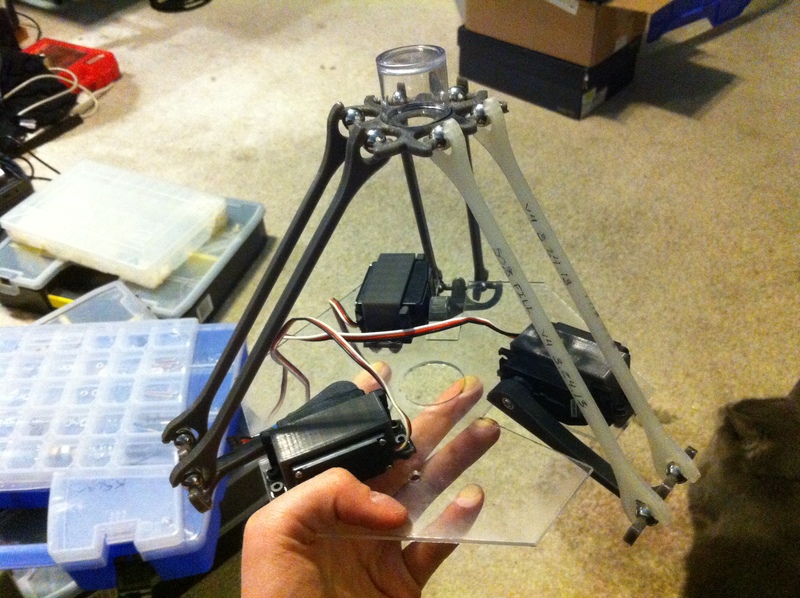 Once I successfully built one from a few servos, wire pulleys, and spring (however clumsy and difficult to control) I started thinking big. What if I really did make a ‘field’ of dancing lightbulbs? I took this idea back with me to my home town of Las Vegas and started looking into ways to mass produce my design. 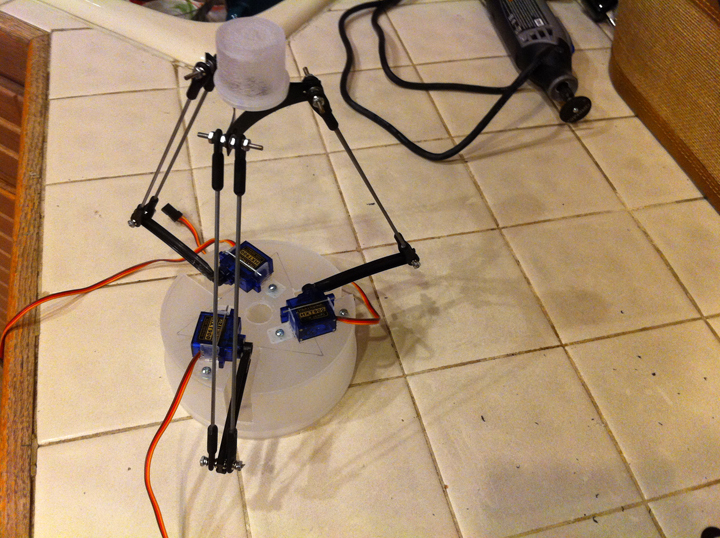 Along the way I ran across some videos of an inverted delta robot on the web and was inspired to try and make one myself. After doing a little research, I scrapped my robotic flower type and decided to go with the delta model for my simulated field of lights. Even though delta robots don’t necessarily look like flowers, their mechanical simplicity and wide rage of motion was a huge selling point because my robot had huge issues with backlash and pulley slippage. Once the decision was made, it was up to me to figure out what went into making one do. Delta army commence! 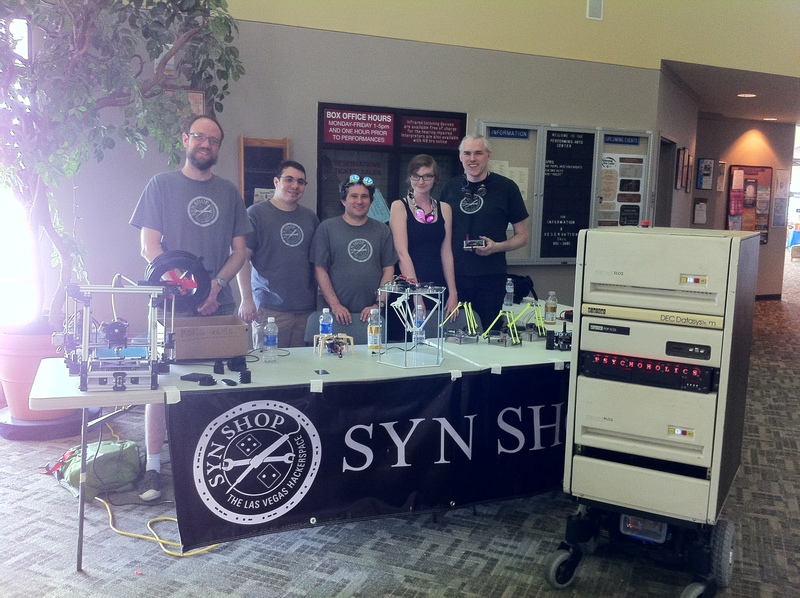 In the past year since that fateful day, the close knit group of makers at SYN Shop have become a regular part of my life. I’ve learned leaps and bounds more about coding, fabrication, hardware, and electronics than I ever thought I would, and it’s been delicious. I always knew deep down I was some odd flavor of engineer at heart, and here I am doing the things I use to draw and paint. – Growing in this way is the most fulfilling shift in life I’ve ever made. In time I worked my design into what it is right now… a hearty little yellow beast that is sleek and free of excessive hardware! With six identical working prototypes, it’s time to start thinking about boosting my numbers. Servos are expensive, and so is everything else when you’re talking about volumes in the thousands. I’m passionate about my cause, so with some thought and support from my collaborator, I decided to venture out into the world and do a Kickstarter; my first. The Kickstarter isn’t for the light installation however; not directly. 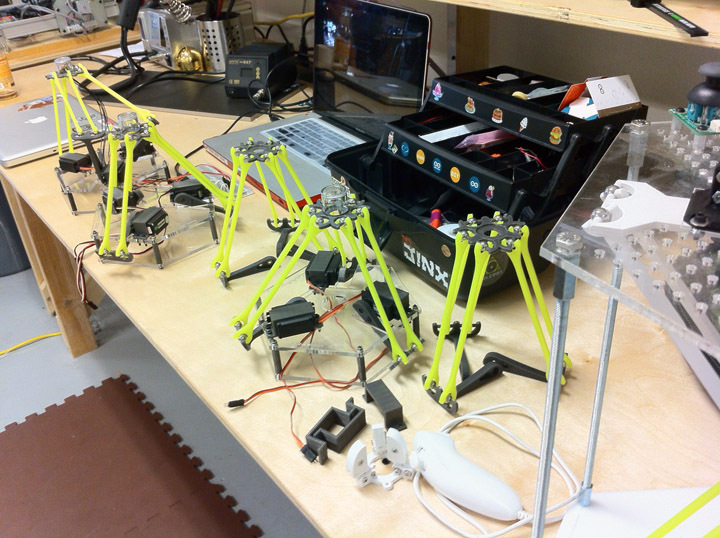 To fund the army of delta robots I want to make… I’m turning my design into a kit. That means, for every delta robot I sell, I’ll get some money to help my cause (and the warm fuzzy feeling that comes form knowing other people are helping me populate the world with little dancing yellow robots). Launching a Kickstarter however is HARD. It’s a full time job that I am lucky enough to have help with. It isn’t possible to wear all the hats at once, so I am sharing them with my partner in crime and master engineer, Mark Koch… and my 24 hour life line and creative mastermind, Jeff Rosowski. Over the next few months they will be helping me prepare for the day I make the Kickstarter live, which is looking like it will be some time in January (2014). Join the mailing list if you haven’t so I can remind you about it (promise I won’t send any crap)! 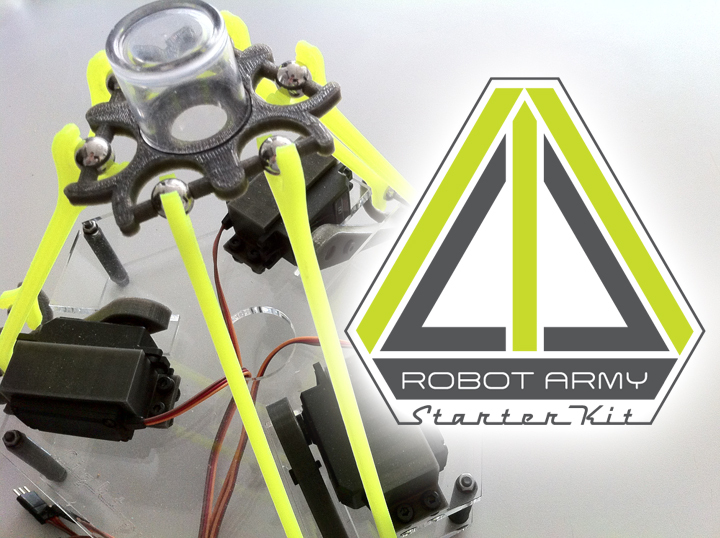 For detailed coverage and updates about the project, I’ll be posting articles on this blog (robotic arts). So as we march head on into the holidays, check back and see how I’m doing. This is my first time doing a lot of this, so I’ll be talking about the experience in detail if anyone is interested in the emotional toll this is having on me. 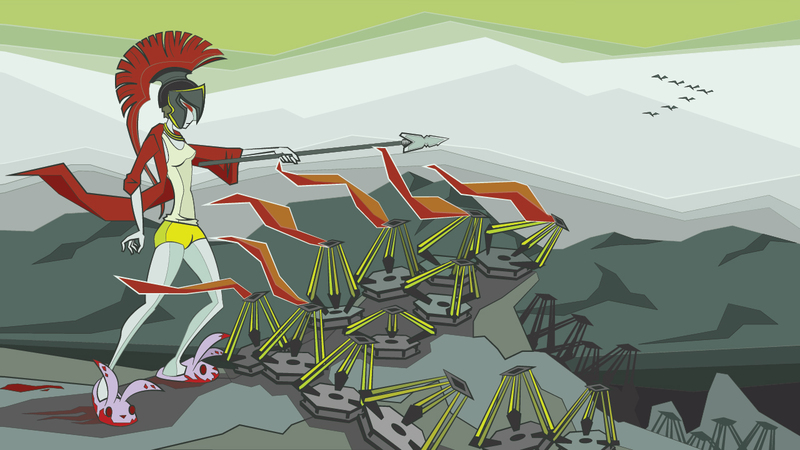 I would like to sign up as Tier 5 sponsor on your Kickstarter project, please let me me when I can sign up. Keep up the good work, it will pay off. Your dream will be a reality, your journey is just starting. I placed it on my website. I ordered a robot back in Novemeber,2013, when can I expect delivery of my order?